With unravelled embroidery and fraying hems, the Traveling Pants are back for one last, glorious summer. Lena: Immerses herself in her painting and an intoxicating summer fling, fearing that the moment she forgets about Kostos will be the moment she sees him again. Carmen: Falls under the spell of a sophisticated college friend for whom a theatrical role means everything and the heritage of the Pants means nothing. Bridget: Joins a dig for an ancient city on the coast of Turkey and discovers that her archaeology professor is available in every way except one. Tibby: Leaves behind someone she loves, wrongly believing he will stay where she has left him. 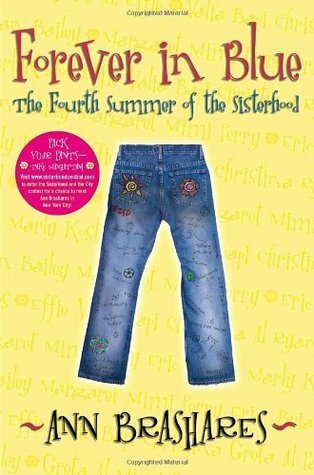 It’s a summer that will forever change the lives of Lena, Carmen, Bee, and Tibby, here and now, past and future, together and apart. The first year of university for the girls and with it comes all sorts of drama and life lessons. Brashares did a good job bringing us into this world of separated friends who are trying to find their place in the big wide world and still struggling to hold onto their former lives. The distance of college and being forced to grow up and be independent challenges the girls and makes them assess who they are and what they want from life. And, again, Pants that still fit and don’t smell and apparently still look wearable after having pond water, dirt, sweat, and who knows what else on them make the rounds. At least this time doesn’t seem to be focused as much on the Pants. They make their appearance and are shown to be worn a few times, but they mainly just sit nearby, so much so I had moments forgetting they were even in the story until they were mentioned. They have definitely become more of a symbol than requiring any real wear from them. After seeing some improvement in Bee after the first two summers, her storyline is strange and annoying. I’ve figured out I’m just not going to like her character. I will accept her for who she is and just not like her that much. Why Brashares needs Bee to have these older guy relationships, 15 and 19, now 19 and 30. Can’t she stop falling for older guys who are now not only married but also her teacher? The fact she’s even on a dig in Turkey is a complete surprise, has she been harbouring this archaeological love for three books without us knowing? This plotline came from out of the blue as far as I know. Full credit to her though, she treats her family storyline with care and brings to light the struggle she has had over the years. One thing Brashares doesn’t seem to have realised that book four means the girls are practically 20, and while they do 20 year old things, they still act like they’re children at times. Her language is telling us these adult things are happening, but the petulance and childishness still remain from her characters. Having said that, some of the girls are better than others. Carmen, who also has picked up a theatre hobby from nowhere, was much less spoilt than before. I actually sympathised with her a lot in this, Brashares develops her like a proper person and makes us understand her emotional neglect and absence from her friends. Lena also is a bit more focused and adult, she is being the 19 year old she is meant to be, working out who she is and what she wants in her life. I will admit, while I have been a fan of Tibby’s for the series, I think Brashares drew out her storyline for a lot more drama and length than needed. I liked the drama, but I disliked the overdramatic reactions. Though four books deep into this I really so think it’s the writing that keeps bugging me. I think Brashares just needed to tell the same story better and it wouldn’t feel as melodramatic and sickly sweet and charming sometimes. She writes really well sometimes and then other times it just doesn’t work. 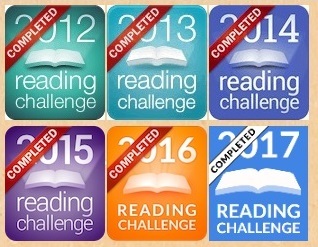 Where Brashares shines is in the final chapters. The summation of this story and these girls’ journey is the best part. It is about friendship, about memories, about love and good times. I remembered why I enjoyed reading these stories in the beginning; it highlights the growth of the friendship over the years and gives you a sense of satisfaction as it ends. It remains the sweet and charming book it’s always been, but Brashares ends the fourth book with respect and a promise for the girls’ futures.